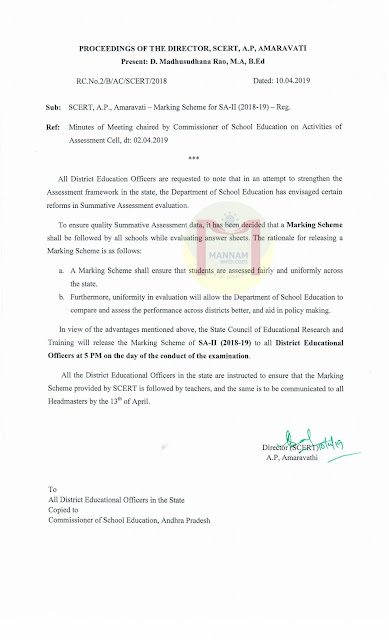 RC No.2/B AC/SCERT/2018 Dated: 10.04.2019 Sub: SCERT, A.P., Amaravati Marking Scheme for SA-II (2018-19)-Reg. 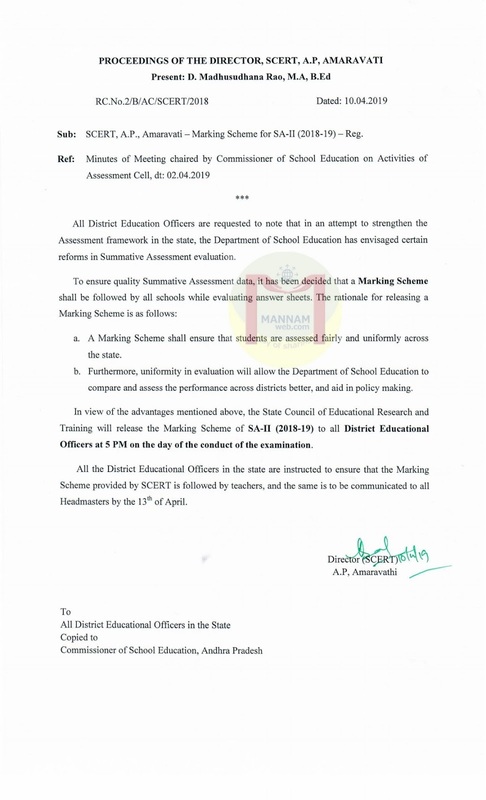 Sub: SCERT, A.P., Amaravati Marking Scheme for SA-II (2018-19)-Reg. Assessment framework in the state, the Department of School Education has envisaged certain reforms in Summative Assessment evaluation.